In 1959, the then-living members of the Class of 1907 donated the carillon to the University of Delaware, noting at the dedication ceremony that this gift was presented to the University “in the hopes that the sound of these bells will warm the hearts and lift the thoughts of those who pass this way.” The carillon was placed in the bell tower of Memorial Hall, the center of the UD campus. Each morning, at precisely three minutes past 8, the sounds of "Delaware, My Delaware," the University's alma mater, "America," and the UD "Fight! Song" float across The Green, passing by the Georgian columns, above the brick walkways, greeting the campus community at the start of another day. The chimes also play daily at 12:03 pm and 5:03 pm, and serve as a symbol of pride and tradition. This gift from the Class of 1907 has provided generations of students, faculty and friends a beautiful legacy of music and inspiration. In this same spirit, members of the Carillon Circle are leaving their own legacy, and will “warm the hearts and lift the thoughts” of future generations of students through their meaningful and important contributions to the University of Delaware. The Carillon Circle was established to recognize, honor, and thank our most loyal supporters—those who have continued the generous legacy of alumni and friends by remembering the University of Delaware in their estate plans. Membership in the Carillon Circle is exclusive to those who have informed the University of their commitment to benefit Delaware through their will or other plans. These provisions include bequest intentions, gifts that provide a life income (such as charitable remainder trusts and charitable gift annuities), gifts of real estate, qualified retirement plan assets, and other deferred gifts. Carillon Circle members are honored at an exclusive annual event acknowledging their dedication to the University of Delaware. Each member also receives a distinctive Carillon Circle gift and is recognized in the University's annual Report of Private Support. Carillon Circle members are kept updated on University happenings through the Carillon Notes newsletter. Members also receive special invitations to University events and educational programs. Requests for anonymity will be honored. 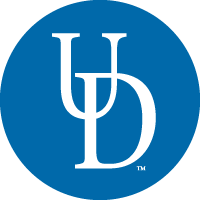 If you have already made estate provisions for the University of Delaware, we hope that you will share those plans with us. If you need more information, we will be glad to help you decide which gift planning options will best suit your needs and intentions. We are also happy to work with your financial advisor and/or attorney to meet your charitable goals. Please call the Office of Gift Planning at 302.831.6798 for a confidential conversation about gift planning and the Carillon Circle.